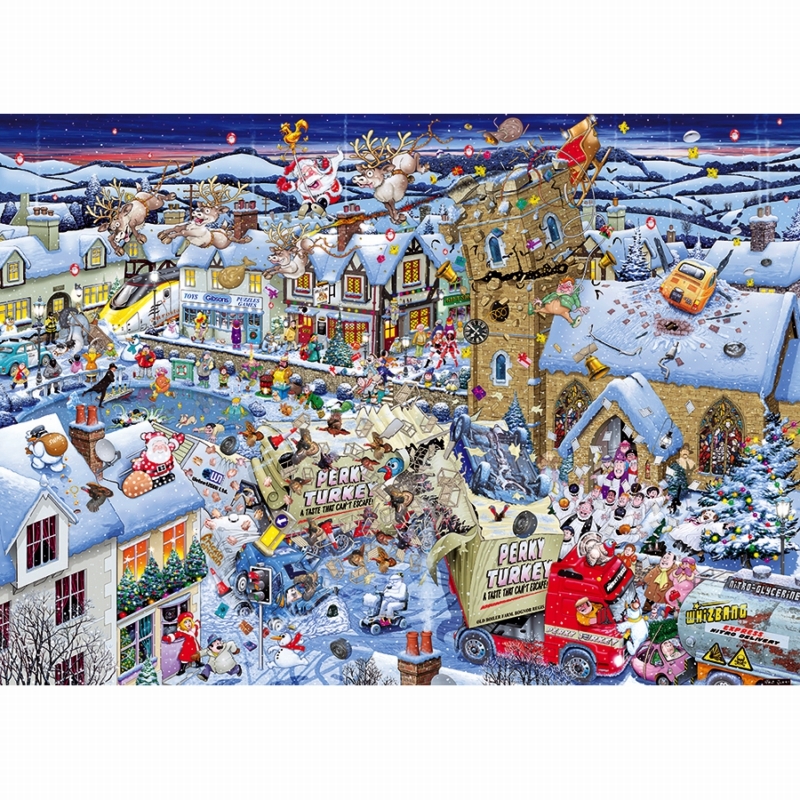 Britain’s premier cartoon illustrator, Mike Jupp, continues to delight jigsaw puzzle fans year after year and his ‘I Love’ range cannot fail to amuse both young and old. 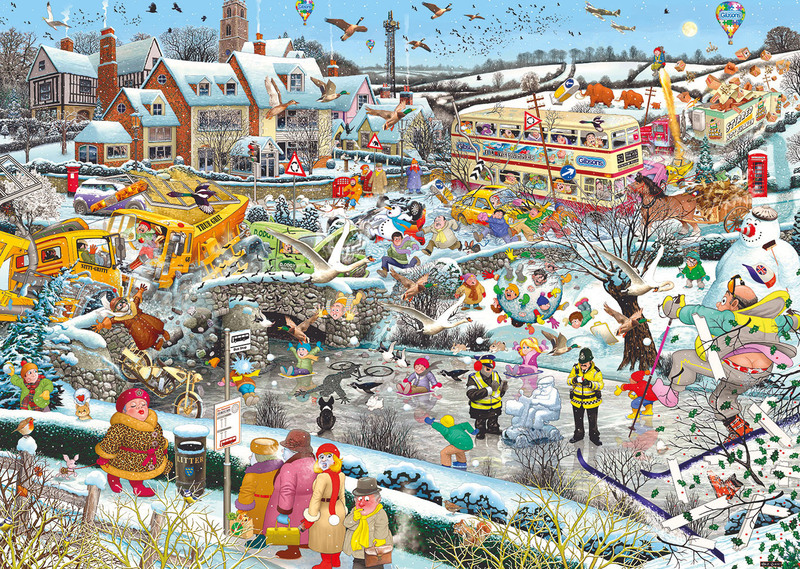 I Love Winter is Mike Jupp’s thirteenth instalment in the range and details Mike’s hilarious capacity to capture the comical and ridiculous side of everyday life. 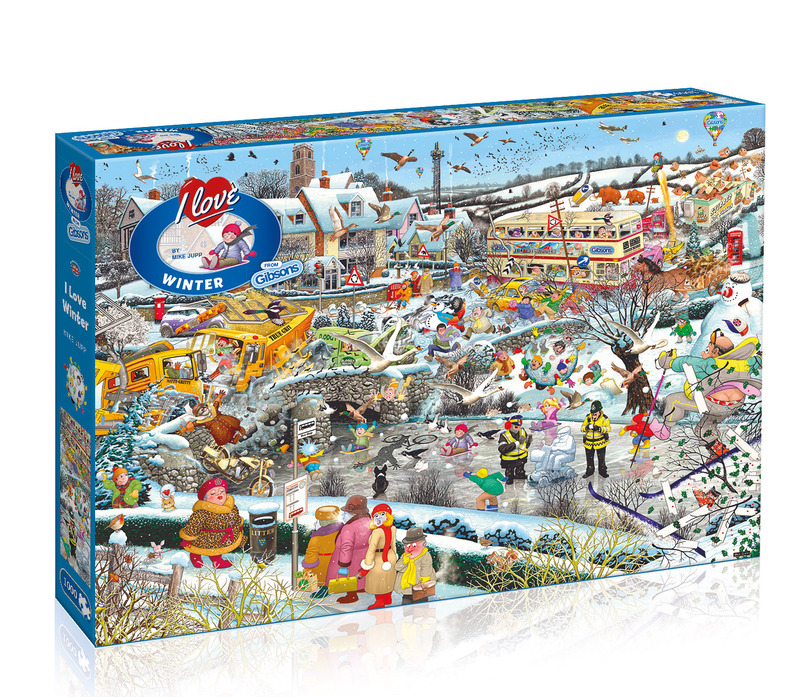 The commotion of the winter season is shown in this jam-packed puzzle, where snowball fights get a little out of hand and the ice makes the roads chaotic! 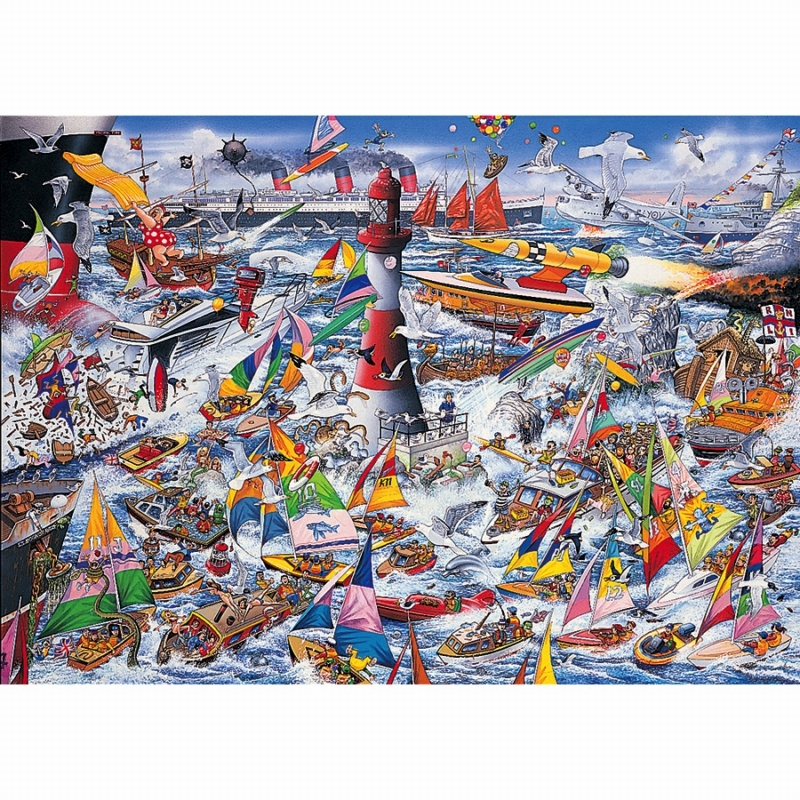 All of our jigsaws are a joy to handle and are made from the highest quality 100% recycled board. Part of the 'I Love' series. Illustrated by artist Mike Jupp. 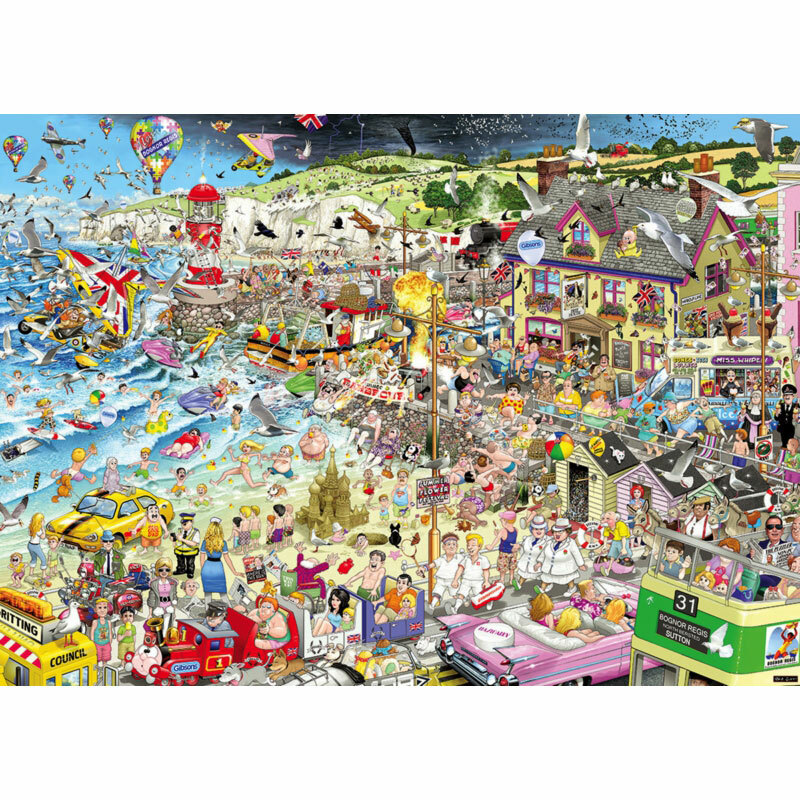 Mike Jupp is one of Gibsons most successful artists and cartoon illustrators who delight our fans with his ‘I Love’ range, where his manages to capture the comical and ridiculous side of everyday life. 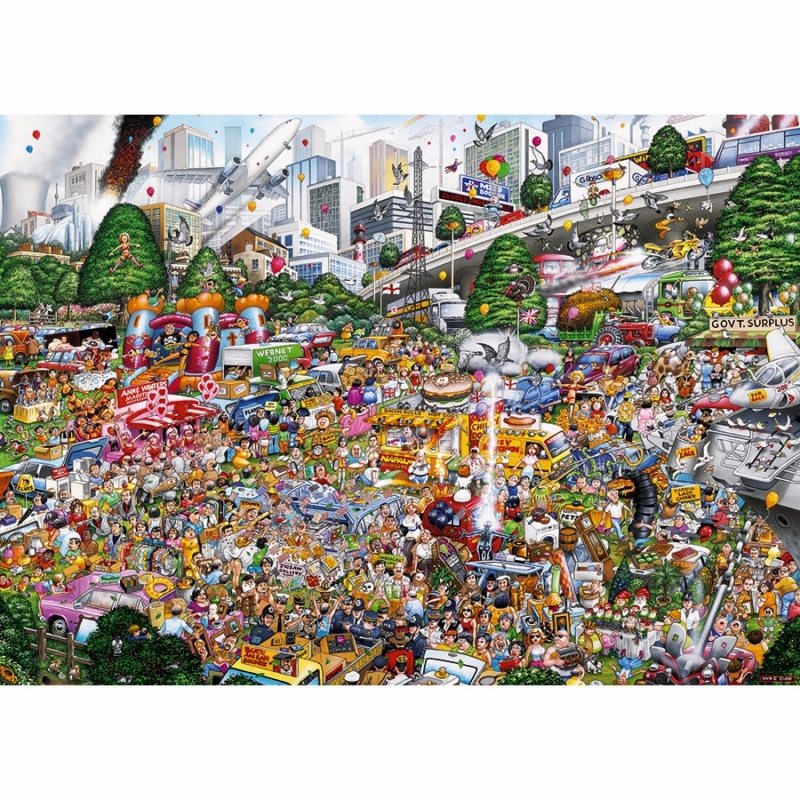 Born in 1948 in Tonbridge, Kent, he was adopted and grew up in West Sussex. After studying Animation at West Sussex College of Art and Design he moved to London and became a freelance artist in 1974, moving into film and TV design in 1980. 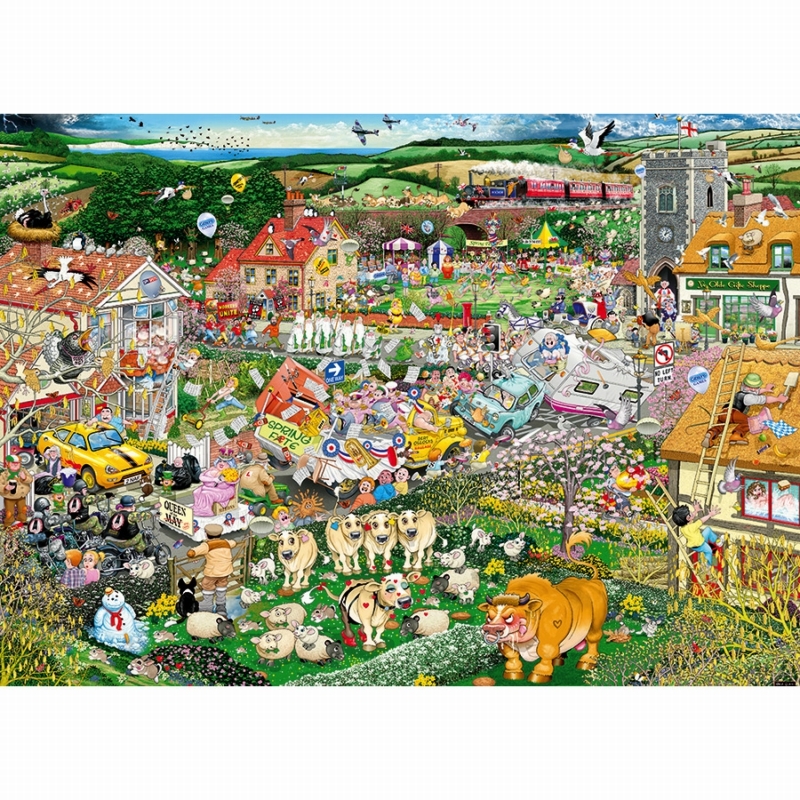 After creating the award winning cartoon series The Dreamstone and Bimble’s Bucket, in the late 1990s Mike applied his talent and lively sense of humour to creating designs for Jigsaw puzzles and the ‘I Love’ series was born. 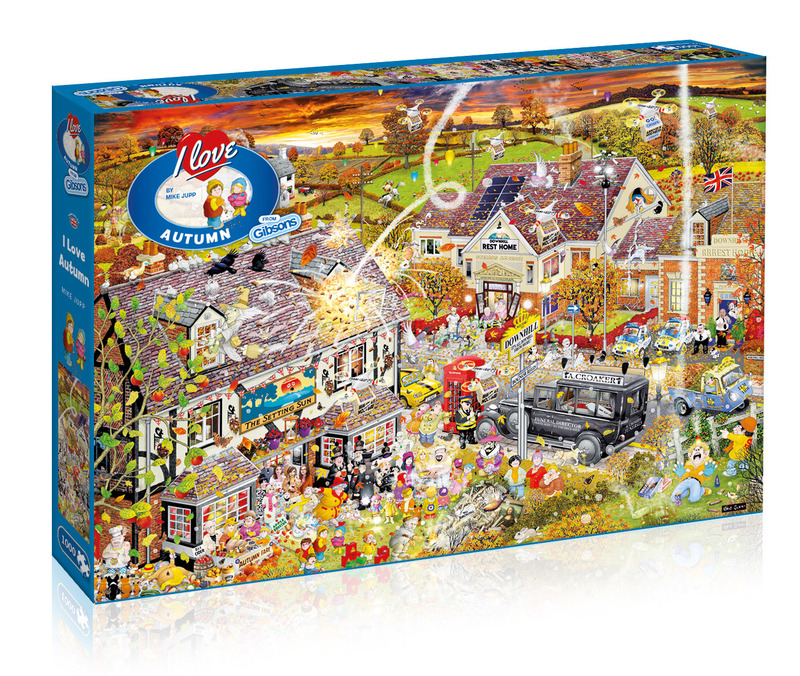 In the years since, ‘I Love’ puzzles have become a legend amongst jigsaw fans and their popularity continues to grow.